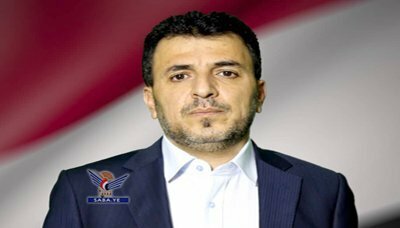 Yemen’s Minister of Health Dr. Taha al-Mutawakel stressed that the Saudi-led coalition has been resisting and refusing to open Sanaa International Airport for merely humanitarian flights, which has caused the suffering of the patients to increase due to the weakness of the possibilities because of the Saudi siege on the impoverished country for almost 4 years. Al-Mutawakel said in a telephone interview with the Arabic network channel called Al-Masirah that ” the poor condition that the two children are in reflects thousands of other cases that can not be dealt with in Yemen because of the weak potential. “We did not find any response to our appeal to UN agencies and the international community to get the two children abroad for treatment,” al-Mutawakel pointed out during the interview. The Health Minister noted that the US-backed Saudi-led Coalition has placed unfair conditions against patients who must depart the country for treatment. The Ministry of Health sent a humanitarian appeal to international organizations to send an urgent medical team to conduct a surgery of two infants conjoined in one body, Abdul Rahman al-Haimi and Abdul Rahim al-Haimi.